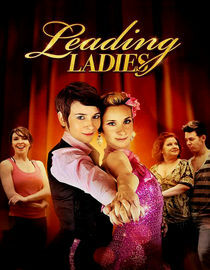 Leading Ladies is now Available on Netflix Streaming! It’s the moment you’ve all been waiting for… FREE STREAMING LEADING LADIES! Tell your friends. Check out Leading Ladies on Netflix, and then hopefully buy the DVD and help support independent film making! Don’t forget to leave a star-rating and review on Netflix. It will really help us out! You can also purchase the movie soundtrack here. This entry was posted on Tuesday, February 14th, 2012 at 4:20 pmand is filed under . You can follow any responses to this entry through the RSS 2.0 feed. You can leave a response, or trackback from your own site.